“It will be business as usual” says the new executives at Black Ball Ferry Line who acquired the link between Victoria BC, Canada and the Olympic Peninsula. 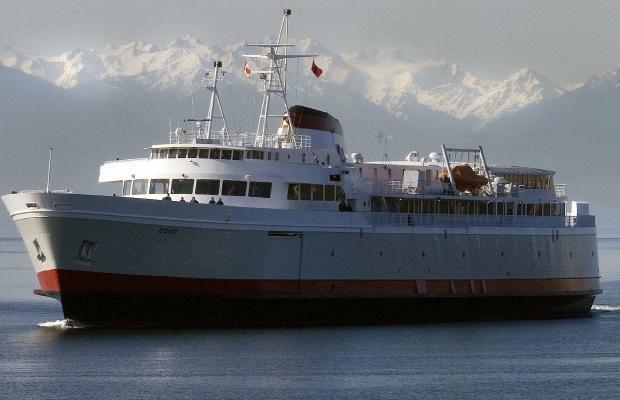 The 52-year-old company, which operates the MV Coho between Victoria and Port Angeles, has been purchased from the Oregon State University Foundation by the company’s executive management team. Black Ball had been bequeathed to the foundation by former owner Lois Acheson in 2004 as part of a $21-million gift of her estate to establish an endowment in OSU’s college of veterinary medicine. The Coho can accommodate 1,000 passengers and 120 vehicles on any one sailing. According to a 2006 study, it ferries more than 400,000 passengers and 120,000 vehicles and brings $123.7 million into the Victoria economy annually. The company employs more than 120 people and operates terminals in both Victoria BC and Port Angeles.